Willy, 9, with his painting. We met Willy after worshipping at his Compassion center’s church in Comalapa, Guatemala (GU-490). When the service ended, sponsors were directed to the fourth floor of the building. There we found a room full of child painters sitting next to their masterpieces, which were displayed on easels creating a maze of artwork throughout the room. Even more paintings adorned the walls. Kim translates as art teacher Filiberto addresses our group. The project director explained that in a community known for its artistry, a painting class was a good fit at this Compassion center. Willy’s teacher, Filiberto, told our group that he was teaching the children about lines, shapes, perspective, warm and cool colors and complimenting colors. Judging by the quality of the paintings displayed, Filiberto is a highly skilled teacher, instructing equally skilled students. As we walked through the room, squeezing between easels, the talent on display was unbelievable. Most of the children in the class were between 8 and 10 years old. Then we saw Willy. His oil painting of a volcano at the edge of a beautiful lake with a flower-filled shore was beautiful. The perspective, the colors and the shadowing and depth proved this student was learning well. He told us this painting took him two months to complete. He answered “nine” in English, with a shy smile. We asked his name, and posed for photos with Willy, and when a translator told him we wanted to purchase his painting, Willy’s smile grew. He grabbed the painting, and we made our way through the crowded room of artists, following Willy downstairs to record the purchase and pay for the painting. His joy and excitement over his first sale was evident as he smiled and bounced continuously, and Willy’s painting is now a treasured piece of artwork in our home. Willy’s framed painting hanging in our home. 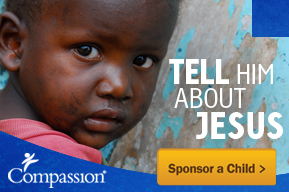 This entry was posted in Compassion International, Guatemala and tagged GU490, Guatemala, Painting. Wow! that is an amazing painting and hard to believe it was painted by a 9 year old! I know! These kids were so talented; it was incredible seeing their work! What an incredible painting!!! And what a neat opportunity for Willy to be able to sell his artwork!